I remember when I used to think of being a mom and having babies, I had all sorts of hopes and dreams for the type of parent I would be. I like to pride myself in being a rather relaxed parent but there are things that I have always been strict about. Bedtimes. Lots of cuddles. Bath time and brushing teeth. After experiencing a newborn baby, an infant, a baby and now a toddler, I feel like I should send out a disclaimer that corrects many things I said PRE-parenting. The truth is, you just have no idea until you are in it. It’s survival of the fittest. If it works, you do it. My little girl was in total hysterics the other day because I took away the disgusting dirty Freezie that had been dropped in the grass seven times while she tried to eat it. She was so upset and it broke my heart so much that I handed it back to her. I have no idea if she played with it or simply ate it but that filthy blue popsicle was all that made her smile in that moment. Don’t even get me started with how happy she was ten minutes later when I am almost positive she ate a dragonfly! I am not saying she is the boss all the time and that the slightest tantrum will win her all battles. I am not saying that at all! I am fully admitting though that you need to pick your battles wisely. Some of them are not worth the tears. With all of that being said, I feel it is the perfect segway into the topic of food! Toddlers are picky as hell. If they like it today, tomorrow it will end up splattered across your face. Or all the way up your walls and all over your crisp, freshly washed white linen curtains. 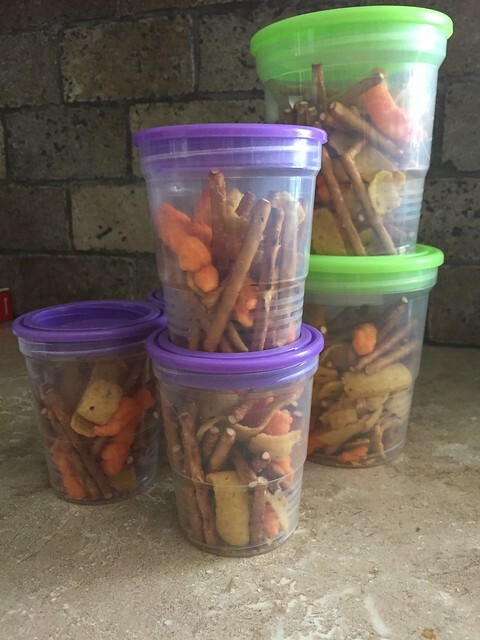 Toddlers also have the ‘chipmunk winter-food-storing-ability’ down to a science. This girl will chew up about fourteen baby carrots, hold them discreetly in her cheeks, and wait until about an hour later when you are cuddling on the sofa and spit them out all over you. What the logic behind this for her is I have absolutely no idea. She sure finds it funny though. 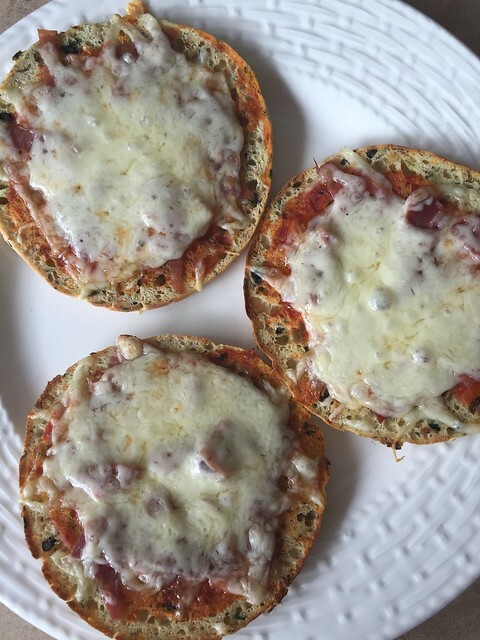 As I fight my way through the darkness in identifying what foods will and will not work, I wanted to share a few tasty treat ideas that are a success in our home- this week anyways. I have probably jinxed it now! 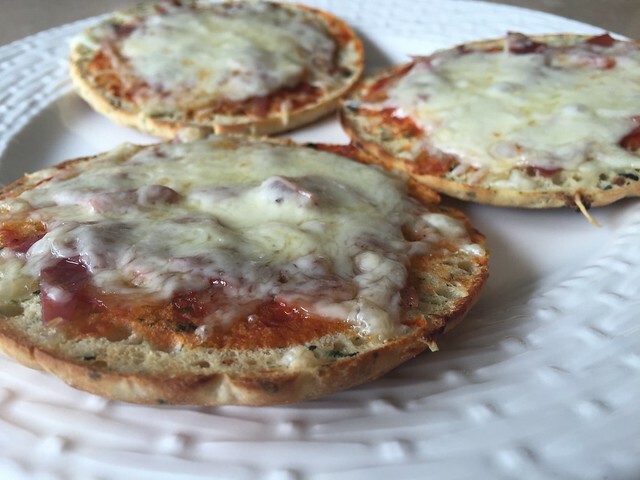 These mini pizzas were delicious and a hit with those big and small. I picked up what I can only compare to Naan Bread from our local bakery, infused with spinach and herbs. Drizzled with tomato sauce, topped with prosciutto and mozzarella (some grated and fresh), and baked for 15 minutes at 400 degrees. I even like to grill the top a little bit to brown and bubble the mozza. Slice them up small for baby and serve as is for mom and dad. Bon appetit! 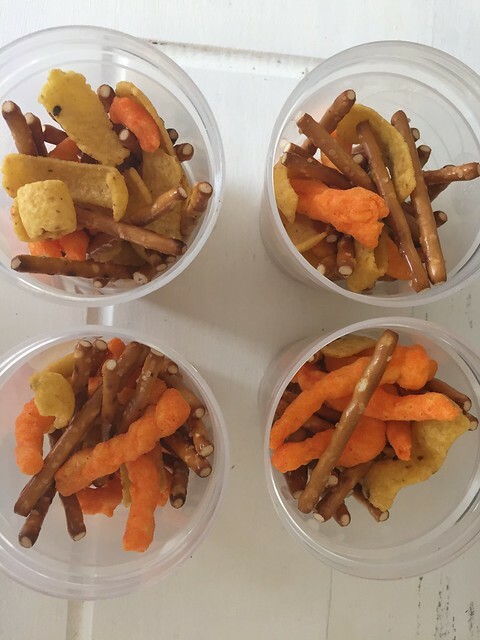 Hallie is slightly obsessed with Munchies Mix – the mix that has sun chips, cheetos, pretzels, etc. Not going to lie, I love them too. Instead of buying a bag of that though I bought a bag of each type of chip in it (more or less) and mixed it all together in a jumbo zip lock bag. I then divided up the mixture into these plastic mason jars. These plastic jars are the best! They store easily, stack, travel well to the park, I LOVE them!!! Very kid friendly too. Oh and husband friendly! Henry cannot open a bag of chips to save his life. We always end up with a long rip down the bag and stale chips, so this is a great solution for him too. 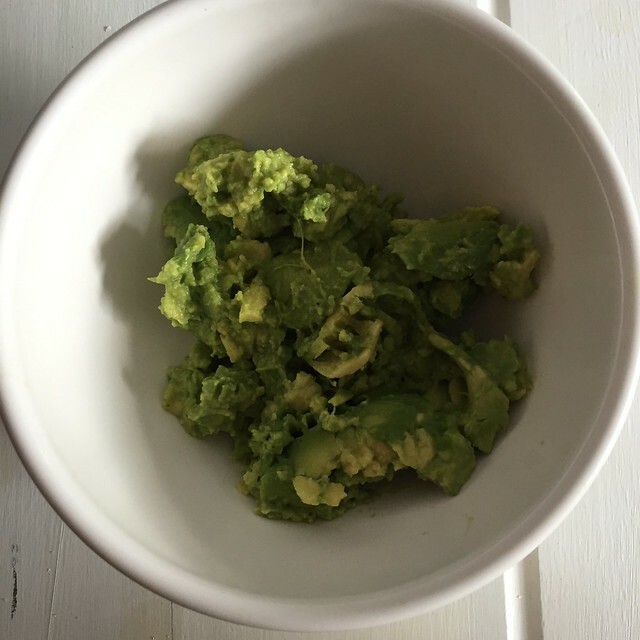 Homemade Guacamole is possibly my favourite snack ever. It may as well be a meal. Today in fact I ate a bowl of guac which consisted of at least three avocados. Good fats right? 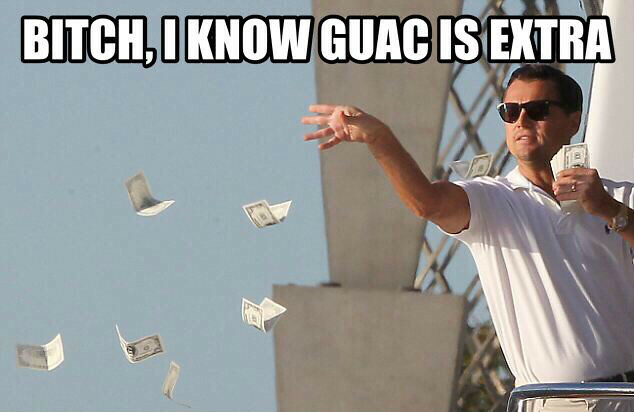 (Don’t care..) I follow a very simple gauc recipe. Perfectly ripe avocados, lime juice and lemon juice, chopped cilantro, fresh ground pepper and cayenne pepper. Sometimes I will add a few tablespoons of a really nice salsa just to excite things but trust me, it isn’t necessary! Nothing like fresh ingredients. 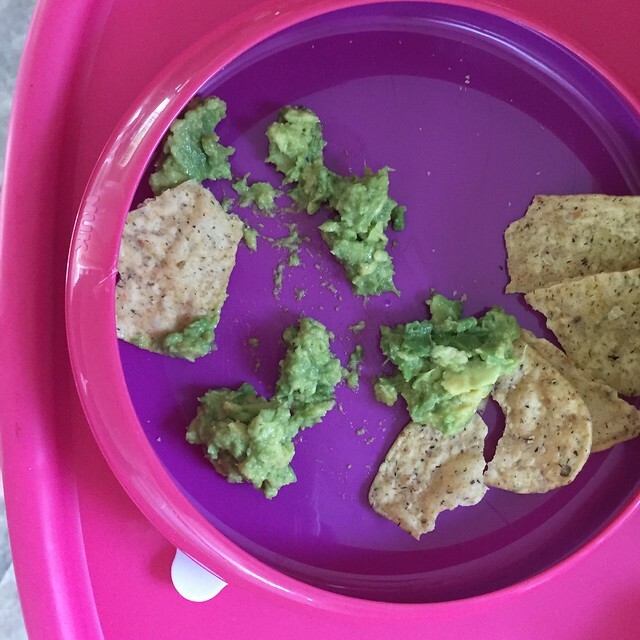 It also helped that a certain little lady LOVED dipping her tortilla chips in it. Until next week when she decides she hates all of the above mentioned snacks and we need to turn to Pinterest for new ideas. I don’t know if I have thick enough skin though. It slightly hurts my feelings when she hates my cooking or hard work & preparation haha!